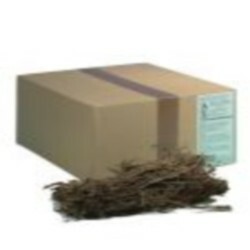 The Natural Tobacco Stalks are a particularly suitable nesting material, pigeons like to use to build their nest. The nesting plays an important part in the relationship between the male and the female on the one hand and in the attachment of a couple to their nest on the other hand. It is evident that suitable nesting material enhances the breeding results. Moreover the Natural Tobacco Stalks are a natural and efficient means to protect the breeding pairs and their youngsters against external parasites (red mite, feather mite and ticks). All this has a favourable effect on the breeding results. The Natural Tobacco Stalks are a natural product that is easy to use. Just make the Natural Tobacco Stalks readily available to the pigeons when they are building their nest. Natural Tobacco Stalks are also ideally suited as floorcovering in baskets.